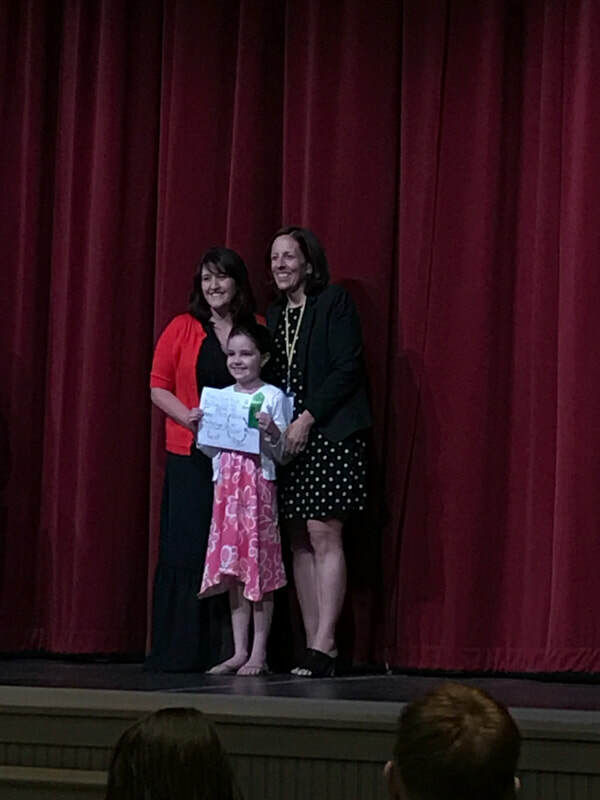 In 4th Grade, Amelia G. (1st place), Emily B. (2nd), and Kendall S. (3rd). In 5th Grade Evan J. (1st place), Amel H. (2nd), and Marcella A. (3rd). These children were recognized at the Regional Awards Ceremony at Danbury’s Union Saving’s Bank on Wednesday April 25, 2012. This year Johnson School participated in the Regional Recycle Poster contest, raising awareness by promoting a healthier tomorrow. Poster themes stressed the importance of going green and preserving our natural resources. Their beautiful posters answered the question, What do you do to recycle, reduce, and reuse? Their artworks reflect their efforts to raise awareness as to the importance of recycling. 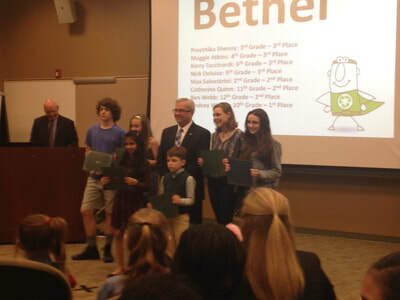 First Place: Eve V. First Place: Kiara R.
Second Place: Endora M. Second Place: Shivani M.
Third Place: Jillian R. Third Place: Chad L.
These students were all honored at a presentation of awards by the Bethel Board of Education on March 29, 2012 at 7 p.m. They were accompanied by their parents, and Johnson School faculty, Dr. Gombos, Mrs. Quader and Mrs. McCue.